From the convenience of your Android device comes the power of a professional grade scan tool! Total functionality from an app based software for your car will give you the diagnostic capabilities you want at a much lower cost. 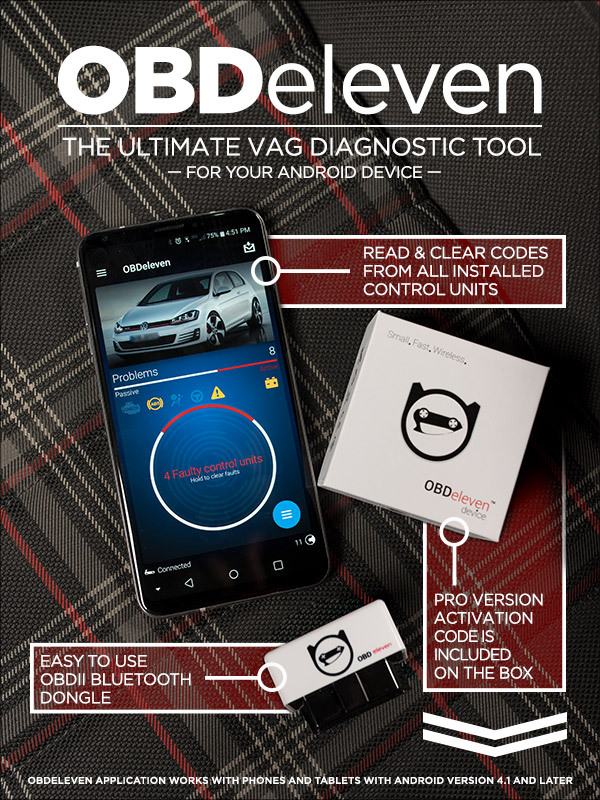 With the functionality and variety of professional-grade diagnostic equipment, the OBDeleven Plug-and-Play diagnostic app is right at home in your personal garage. 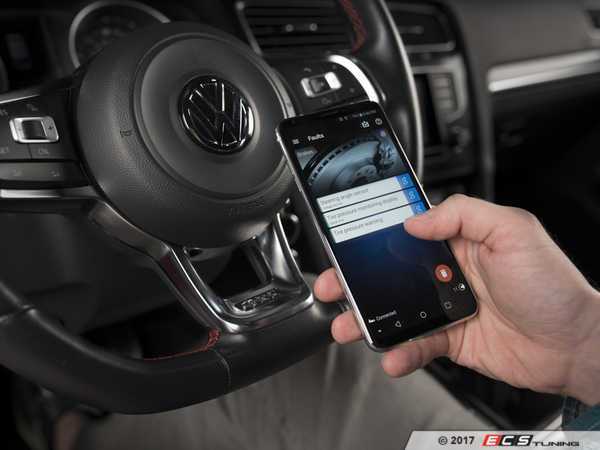 The scan application features code reading, control units, LED coding, and the ability to clear service or check engine lights; all from an Android App available on Google Play! Just plug in your OBD port and have the same capabilities you would see in a dedicated shop all from the convenience of your device. Don't forget order now for 200 free credits! Who needs a laptop when you can code with your phone! OBDeleven is back in stock! back in stock and SHIPPING FREE!